RiffTrax Live presents Santa Claus Conquers the Martians on December 5th! 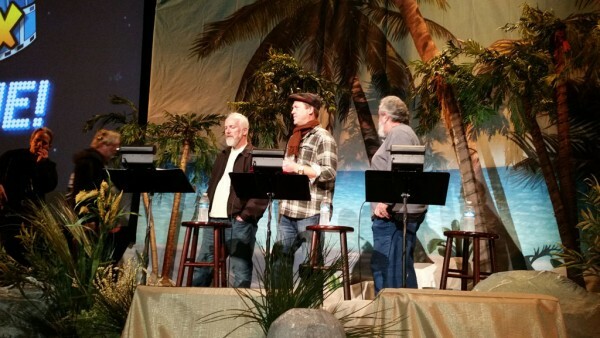 RiffTrax Live will be back in theaters for another special event, Santa Claus Conquers the Martians! This will be the third MST3K version of Santa Claus Conquers the Martians, as it appeared on the original show, and has a Cinematic Titanic version as well. There is just soooo much ground to cover on that awful, awful film. Droppo, the awful robot, the terrible polar bear costume, Droppo, Droppo, Pia Zadora, and Droppo. The problem will be trying to breath while all the crazy and all the riffing happens. 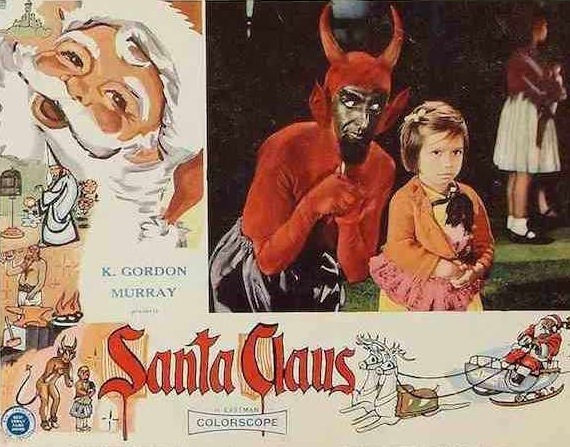 Luckily, Christmas is the time of miracles, so you might not die while watching Santa Claus Conquers the Martians. If that is a blessing, or a curse, depends on your point of view. While I had no interest in Night of the Living Dead, I’ll be at this RiffTrax Live event, guarenteed! Just in time for the holidays, RiffTrax Live is back in select movie theaters nationwide for a hilarious never-before-seen take on a true family “classic” – Santa Claus Conquers the Martians! On Thursday, December 5, join Mike, Kevin and Bill for an uproarious riff on one of the most popular titles from the MST3K catalog, broadcast LIVE at 8:00pm ET / 7:00pm CT and tape-delayed to 7:00pm MT / 8:00pm PT. This one-night event will be your only chance to see the guys target this holiday masterpiece with their trademark commentary on the big screen, so get your tickets TODAY before your location sells out! Not a movie, but easily the most bootlegged video in the galaxy, and also easily makes Episode I look like Citizen Kane. Heck, it makes Turkish Star Wars look like Citizen Kane! No small feat, to say the least. This relic from the seventies is ripe with long, trippy musical sequences that would bore any child into submission. The regulars from Star Wars act as though they were carved from floorboards minutes before the cameras started rolling, a few of who are also full of more drugs than East Hollywood. Guest stars litter the special, some annoying (Art Carney) and some terrifying (Harvey Korman) and Bea Arthur, who should have known better. The holiday we are celebrating is “Life Day” and is a Wookiee holiday, the plot of the special involves getting Chewbacca home in time to see his family. Would our only exposure to Star Wars be this project, we would all be cheering for the Emperor to execute all the rebels and display their heads on the hood of his private shuttle. This is bad. Real bad. Mean bad. Watching this is a war. Not a Star War, a Nuclear War, and the Fallout and Waste is what is left of your brain at the end. First they came for the men. Then they came for the women. Now they have come for the sweetest plum of them all: Santa Claus! We got the original edition right here, not a Crow, Joel, or Tom Servo to be found. There is no Patrick Swayze Christmas here, it’s all pain. This is not the first MST3K film that I’ve seen without Joel/Mike and the bots (that honor goes to Alien from L.A.) but this is the worst I have seen without their protection. The thought that this movie is still being shown to children throughout the world as a Christmas classic is horrifying. I can only pray that the endless showings of A Christmas Story are enough to counter the effects here.